Searching for inspiration, Cat came upon my path. Lovecraft-The Dreamquest unto unknown Kadath: a journey in the dreamworld, confronting horrors, guided & protected by Cat. Main theme: shamanic journey in the otherworld, protection by power-animal cat. 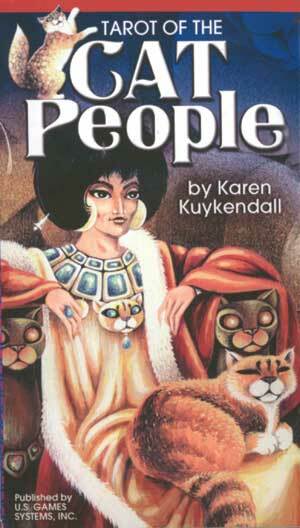 This book inspired my first internet nickname: dreamcat. Lewis Caroll-Alice in wonderland & through the looking glass: A journey through the dreamlands, meeting Cat (and other creatures). Michael Moorcock-Eternal champion: (anti)heroes in the multiverse, struggling to choose their own way between conflicting agenda’s of the gods of Law and Chaos. Evil Hat- FATE accelerated edition: rules-light roleplaying game. Allright then, my favored genre is Fantasy, subcategories Mythology & Fairy Tales. I prefer storytelling a pre-gunpowder world, with a dynamic interaction and balance between magic & science. The veil between the worlds is still thin, crossing over between them is possible. I prefer to start the storytelling small scale: a single village for starters; potentially embedded in a larger scale world of mystery and imagination. Furthermore, I like to explore ethical/spiritual issues: how to be humane in a world of conflicting powers? The boundary between humans and animals is fluid. Some animals and plants are sentient and can communicate with humans, some humans can shapechange into animals and plants. In the beginning was chaos, out of chaos came the ordening elemental powers: fire, water, air, earth, quintessence. The elemental powers became sentient and manifested into form, the worlds were shaped and inhabited by beings, lesser and greater spirits interconnected with nature. Some spirits manifested into matter: becoming plants, animals, humans. Beyond our world there are still alien forces dwelling in the primal chaos; some cause horror and madness, some are benevolent, but all of them are unfathomable. The Powers of Law of Chaos have each their own agenda, using humans as their pawn. Cats (and some other animals) have a special affinity for the otherworld, they are able to interact with otherworldly beings. Great migration, intercultural conflict, stagnation versus change. Genre: fantasy, alternate reality, politic, shamanism. Dominant issue: war between Law and Chaos. Current problems: stagnant society confronting the chaos of great migration, conflicting belief systems. Upcoming doom: another Great War. ‘We need to find new pasture, it is our destiny, our promised land’ Leader of the scouts. Imperial lands: bustling cities, trade, byzantine intrigue, City of Thieves. What is the role of Cats in this human conflict? Cats are aware of the otherworldly puppet players behind the scenes. Which choices wil be made by Cats? Up till now, the perspective of this storytelling seemed to tilt towards the human condition. What if we took the cats-eye perspective? What if cats could be sentient, equal tot human, but with another perspective? Drawing a line in the sand to mark your boundary instead of using your scent-trail? Journeying into space while oblivious of the otherworld? Clearly the naked ape would need to be protected by Cat! Dit bericht was getagd magic, magick, shaman, shamanism, storytelling. Markeer de permalink als favoriet.